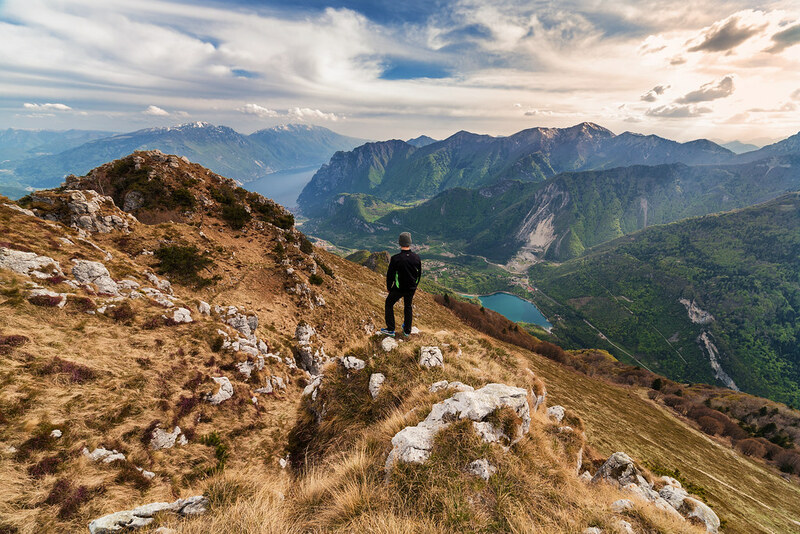 Italy is a hiker’s paradise. Trails crisscross the country getting you right into the heart of all that incredible scenery, history and gastronomy. 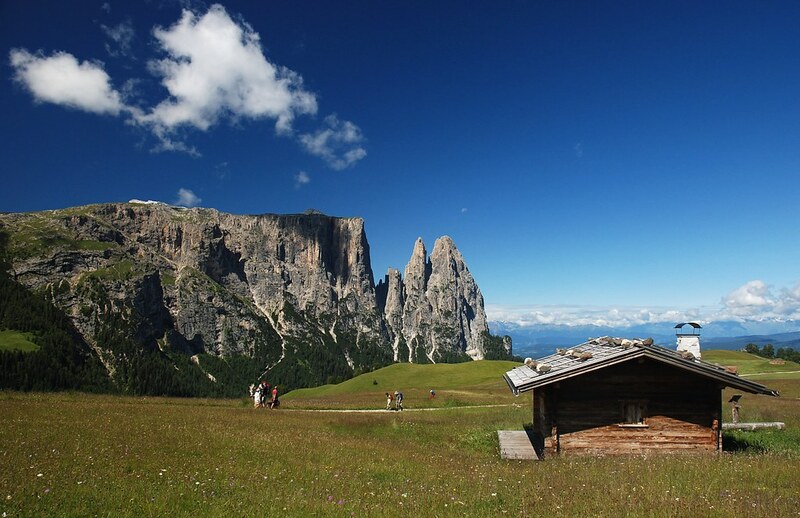 If you are keen to experience some serious altitude, look no further than the pinnacles of the Dolomites, staggeringly beautiful shards of rock pointing skywards, recognised by UNESCO in 2009 as worthy of the world heritage label. Europe’s most extensive high plateau is a place where you will instantly feel the urban grime blasted away. Meadows are cut through by sparkling streams gurgling towards the valley, and wooden barns dot the undulating pastures. Around the plateau, obliging plate tectonics have arranged the towering pinnacles of the Dolomites – the spectacular, pointed alpine range that straddles the cultural border of Italy and Austria – perfectly. There are hundreds of kilometres of trekking routes in the area, such as the challenging route which takes you under the peak of Sasso Piatto, or high-level hut to hut treks between traditional ‘malghe’ or mountain refuges. There are no less than 10 Alta Via multi-day trails in the Dolomites, each one 100km plus, sticking to a fairly high altitude and many requiring technical know-how for the Via Ferrata sections. Less strenuous options include panoramic trails between the idyllic villages dotted around the plateau, taking in the alpine landscapes and pastoral culture of the region. Surrounded by serious mountains which plunge headlong into the blue, Lake Como is an adventure waiting to happen. Take to the hills to tackle 125 scenic kilometres of the Via dei Monti Lariani, a multi-day trek high above the western shore which doesn’t deviate too much in altitude. It’s not a difficult hike and anyone with a reasonable level of fitness will manage it, tackling ancient mule tracks and old smugglers paths through flowering pastures, chestnut woods and stone villages. For a true taste of the Monti Lariani grab your mountain gear and hit the Alta Via Lariana, 58km of exposed trail which hugs the high peaks of the watershed between Italy and Switzerland. It’s a serious five-day route which takes stamina and a head for heights as it reaches 2521m on Monte Cardinello with overnights in refuges and mountain shelters. Tuscany’s most northerly corner is a little-known enclave where the river Serchio rushes along the valley floor, flanked by two distinct mountain ranges. These are proper 2000m plus mountains with an excellent trekking infrastructure, a wide variety of trails and hut to hut possibilities. There are several challenging options in the Alpi Apuane – also known as the ‘marble mountains’ – all quite varied and requiring a decent level of fitness to get you through some long ascents and descents, but from the ridge you can drink in the views across the Mediterranean to Corsica on a clear day. A trek on the Apennine ridge on the opposite side of the Garfagnana valley promises hut to hut trails through high terrain of empty peaks and mountain lakes, and if you’re lucky, sightings of wolves or eagles. The nine-day Garfagnana Trekking loop takes you from the summits of the Alpi Apuane and Apennines to the Serchio valley, with characterful places to stay each night and some mind-blowing views. If you are fit and have a head for heights, it’s an epic trek. Head to the northern tip of Lake Garda to find a perfect mix of eye-popping panoramas and epic adventures. The town of Riva del Garda basks in a sunny notch between steep rocky cliffs, making it the perfect base for excursions into the peaks all around. Tackle one of the three Garda Trek loops, each more challenging than the last. 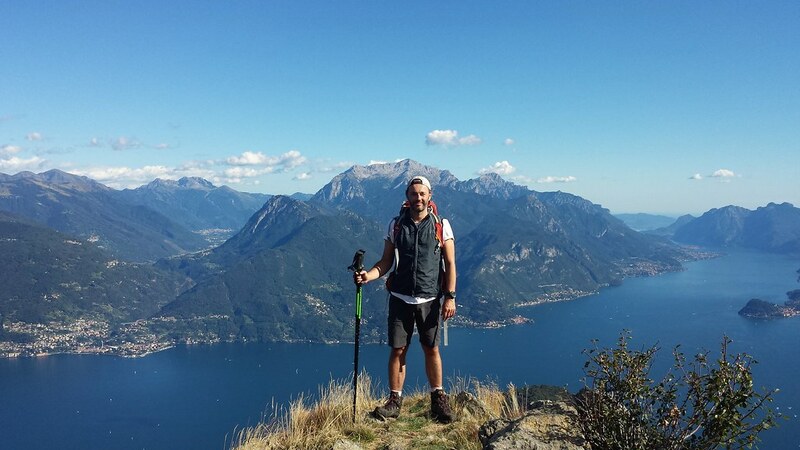 The medium loop is a four day, 72km hike exploring hills and valleys behind the lakeshore, some of which hide their own jewel-like lakes such as Lago di Tenno and Lago di Ledro. The top loop is a seven-day trail around ‘the Crown of Garda,’ the high peaks which encircle the most northerly lake resort of Riva. Although there are no Via Ferrata, it’s a tough, undulating route with some exposed sections and requires a good level of fitness. 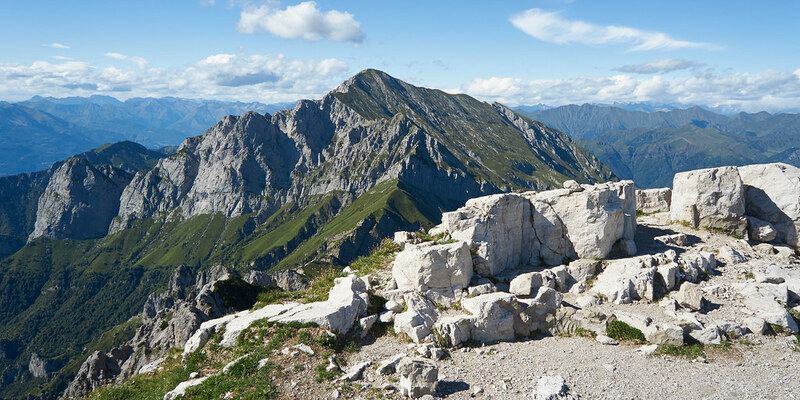 95km of trekking reveals several peaks above 2000m, among them Monte Stivo where the 360-degree panorama is jaw-dropping, and Monte Baldo, known as ‘the Garden of Europe’ for its unique flora. Characterised by its rustic villages and the tumbling river Noce, the Val di Sole is the perfect escape for adventure hunters. It is one of Trentino’s sunniest and most enticing destinations, especially for anyone who loves trekking, Via Ferrata or white water. The extensive network of trekking routes winds up into the high mountains where you can follow multi-day trails from hut to hut, taking in the jaw-dropping views and discovering some of the hundred lakes that dot the region. The welcome here is warm, the valleys peaceful and green, and you can choose from trails which reach the Brenta Dolomites, the Stelvio National Park or the Presena glacier. Take a stroll around the centre of Dimaro, enjoying the small town ambiance and the typical Tyrolean houses, or head for the impressive Rio Meledrio waterfall nearby. You will feel your proximity to the Austrian border particularly in the cuisine, which includes ‘canederli’ dumplings, apple strudel and various cured meats. Inspired? Check out our Italian hiking trips and other adventures in Italy. The Annapurna Sanctuary Trek or the Annapurna Circuit | Which Should You Choose?